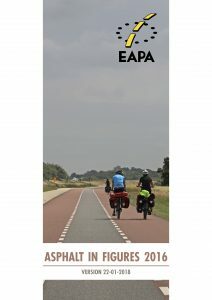 You can download EAPA’s Asphalt in Figures 2016 here. As you can learn from the figures the total asphalt production in Europe remained rather stable in 2016. Please enjoy reading this document!